APRIL picked up where March left off, with continuing friction around the apparent spat between the PM and the Speaker of the Lower House. Security forces and the media were encouraged to remain impartial in an increasingly tense environment. Eventually the AMISOM Ugandan Contingent Commander intervened, apparently unilaterally, and restored some degree of calm. Speaker Jawari eventually decided to resign: barring some accusations that he had been bought off (which he vigorously refuted), his exit was remarkably equable given the bitterness that had gone before. 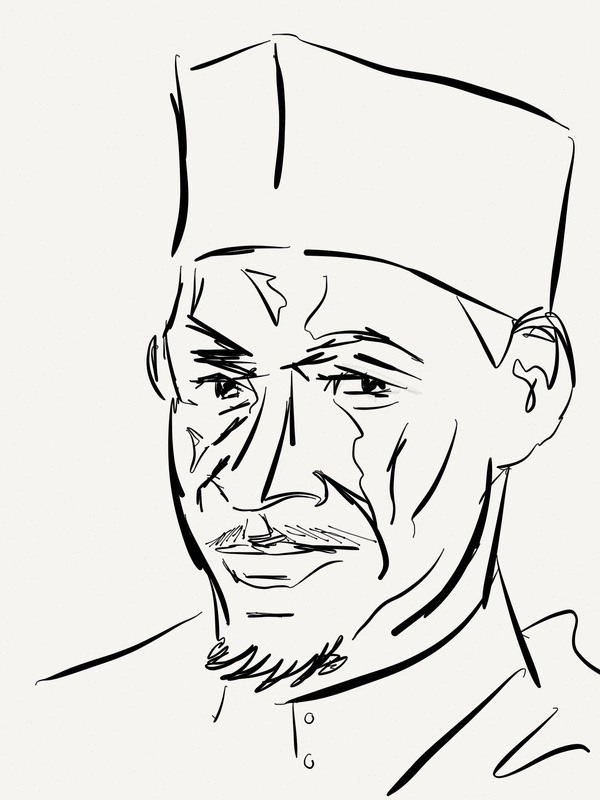 Mohamed Mursal was elected in his place. The FGS worked hard to increase revenues and, at the same time, secure some degree of debt relief. The constitution document apparently went missing but then re-appeared. An SNA logistics contract with the international provider, SKA, was ruled null and void after probing by investigative journalists. Flooding following heavy rains wrecked havoc in the hinterland, especially Hiraan. International organisations predicted an associated cholera epidemic and a major relief effort was launched. In the FMSs, AMISOM continued to integrate Darwish militias into the security forces, this time in Jubbaland. Somaliland’s lurch to the oppressive continued: an elder jailed for attending an event in Puntland; a female poet detained for making pro-Somali unity proclamations; and a journalist arrested for being a journalist. The orientation of Somaliland with UAE, presumably driven by the UAE’s investment in Somaliland ports and infrastructure but with a security angle as well, further aggravated the central government. The war of words escalated into the seizing of nearly $10 million from a UAE-flagged plane: the UAE claimed it was wages for the troops it was training in Somalia, the FGS claimed it was bung money. The UAE promptly withdrew its support for its SNA training facility in Mogadishu and its hospitals suspended operations. The military facility was looted, flooding Mogadishu with weapons and other military paraphernalia. As the month ended Somaliland, Puntland and Jubbaland were all firmly aligned with the UAE against the FGS (and Qatar/Turkey). aS in turn launched a series of coordinated attacks on AMISOM and SNA positions in the hinterland, but they were successfully repelled. Unfortunately, a lack of availability of anyone in authority to speak to the media meant that aS’s narrative, of it swarming across south-central Somalia, was allowed to take hold. Having finally learnt how to counter the effectiveness of drone strikes through disinformation, aS issued a series of articles claiming that strikes were consistently killing Elders, pregnant women and camels (showing what aS thinks matters to the average Somali in the hinterland). aS targeted checkpoints in the city of Mogadishu with car-bombs, warning citizens to stay away or risk the consequences. This didn’t stop the Mogadishu Mini-Marathon being run, a testament to the stoicism and resilience of the Somali people. Sport provided another target for aS, this time a football stadium in Barawe in Lower Shabelle: aS claimed all those injured were members of the security forces, but the reality was that they were all just average Abdi’s playing the beautiful game. On the flip-side, the Somali Under-17s team reached the final of the CECAFA Cup, only faltering at the end to a stronger Tanzanian side. For every negative, there was a positive. And vice versa. 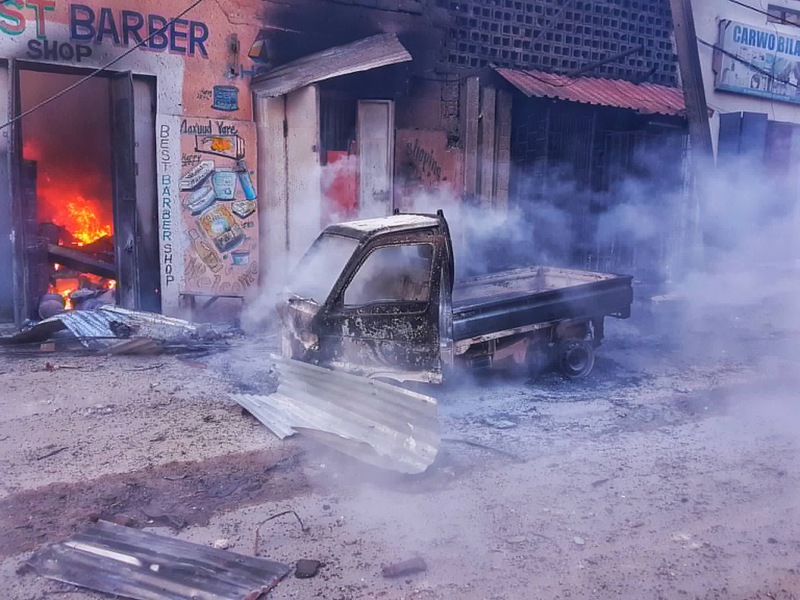 JANUARY began with continuing tensions in and around Mogadishu, ostensibly over security forces assaults on the residences of Hawiye/Habar Gadir politicians. However, at a deeper level, the forcible eviction of thousands of Internally Displaced Persons (IDPs) from camps on the fringes of the city highlighted the more primal concerns at the heart of the resurgent clan friction: access to and control of resource, notably land. 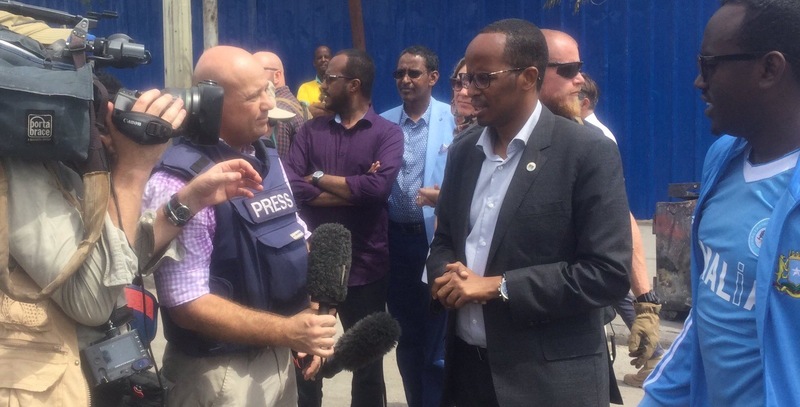 Thabit, the Governor of Banadir and Mayor of Mogadishu (and one of the few government figures to come out well from the aftermath of the October 14th bombing) sought to resolve the situation by relocating the IDPs but was then summarily sacked: he was replaced by the Minister of Information, Engineer Yarisow, a Hawiye/Abgal (with the sub-clan for sub-clan exchange seeming to work). In a cabinet reshuffle the Ministers for Foreign Affairs, the Interior and Trade were all replaced, with the substitution of one of the few female Ministers by a man being the subject of much ire. The elections for seats left vacant in 2017 proceeded, albeit slowly. There was a spate of attacks on the staff and infrastructure of Hormuud, the powerful cellphone provider, although it was unclear whether this was coincidence or deliberate action. The President attended the AU Summit in Addis Ababa while the Prime Minister attended the World Economic Forum in Davos: while there the President declared his intention to end corruption in 2018. More significantly, the President also toured the regions of Somalia, receiving a rapturous welcome as he went. However, one of the regions he did not visit, secessionist Somaliland, clashed with its neighbour, Puntland, over disputed territory, and in Jubbaland political dissent was repressed and seemed likely to result in yet more internecine communal violence. At the same time, Kenya and Somalia clashed over the disputed border area around El-Wak, a city that lies in both countries, just one more element of the continuing territorial dispute between the two countries. aS, on the other hand, had no such problems with lines on the map and continued to operate with relative freedom in northern Kenya (although the Kenyan media continued to tell a very different and clearly coordinated story about the declining fortunes of the terror group). 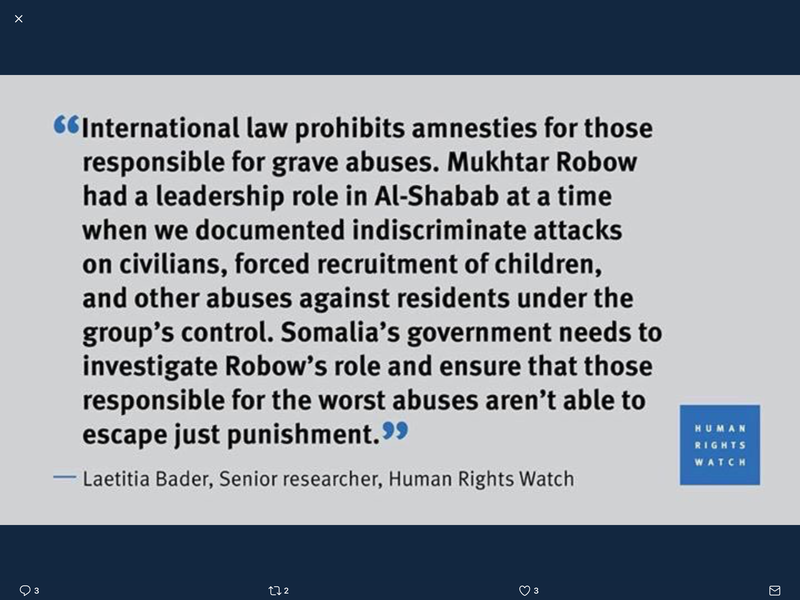 Al-Shabaab did genuinely struggle with the nagging presence of the high level dissident, Robow, right on the edge of its territory and in control of an increasingly powerful military force. Attrition to defections and strikes also continued apace and the publication of research by Human Rights Watch into aS’s use of child soldiers was similarly detrimental to the group’s reputation. One strike even resulted in the rescue of a group of child soldiers, an intertwining of aS’s woes. But the oft-promised collapse of aS still seemed far off, with the group even managing to threaten copyright litigation against the FGS for unauthorised use of its imagery while maintaining its campaign of low level assassinations and bombings. DECEMBER began with the announcement that a second investigation was to be launched into events in Barire, which were being portrayed on one hand as US Special Forces on the rampage and as a cynical, compensation-driven misrepresentation of a bit of inter-clan scrapping on the other. But the US nonetheless continued its high tempo of strikes, disrupting aS’s pattern of life. The US also suspended military aid to the SNA, citing endemic corruption: the FGS stated that it agreed with the move. The reality of the state of the Somali security forces – weak and sometimes dishonest leadership, lacking in numbers, equipment and capability, nowhere near ready to assume responsibility for security and all while AMISOM begins its drawdown – became painfully apparent. A major security conference for international partners was hosted by the FGS in Mogadishu and the 2018 budget was approved, although with the obligatory procedural protests from the Upper House. Political parties were introduced in anticipation of the 2020 elections and Somalia regained control of its airspace. The President travelled to Kenya, Cote d’Ivoire, Egypt and Turkey: in Istanbul he attended a meeting of the OIC and added Somalia’s voice to the protests against President Trump’s recognition of Jerusalem as the capital of Israel. A US diplomat to Somalia resigned, her furious resignation letter splashed across the news media. Other international partners – Turkey & Qatar on one side, Saudi Arabia, the UAE & Egypt on the other – seemed to be vying for influence through soft power (development aid and direct donations) while at the same time conducting intrigue in support of their national or bloc objectives. Kenya refused to accept the ICJ’s decision on the maritime border with Somalia and also appeared to seize a section of the land border. Robow returned to Southwest State and began to fight aS: aS fought back, killing one of Robow’s numerous sons, and conducted a series of executions of ‘spies’ in the areas near where Robow was operating. A suicide bomber dressed as a police officer struck the rehearsal for the 74th Anniversary of the Somali Police Force: many of the victims were female SPF officers. aS’s campaign of low level assassinations continued. While the international community cats were away for Christmas, the Somali mice decided to play. The game was an old one: clan power disputes over control of resources and positions of influence. Clan militias in security forces uniforms clashed over land rights. The home of a former Presidential candidate, Abdishakur, was stormed on the pretext of charges of treason and six of his staff killed: he was released following a storm of protests everywhere from social media to the rural hinterland (where security forces from his clan allegedly abandoned their posts). Astonishingly, another Hawiye/Habar Gadir politician, Qeybdiid, was also raided: this time the FGS claimed to have no idea of who ordered the operation and blame was steered towards UAE (who had trained the unit involved). As 2017 ended it was hard to remember the numerous positives of the year – a successful electoral process and the genuine feeling of hope at the election of President Farmaajo, aS on the back foot, an increasingly secure capital – while the country teetered on the brink of a descent back into clan-driven conflict. SEPTEMBER started as it would end, focussed on the town of Barire in Lower Shabelle. A number of locals, armed and moving at night with an unidentifiable but presumably nefarious purpose, stumbled upon a Somali special forces unit who promptly engaged them, killing 8. The government agreed to compensate the dollar-hungry families of the unburied and decomposing casualties. The business of government went on, with counter-terrorism legislation heading to parliament along with various other bills. The Media Law followed close behind, trailed by the ubiquitous chuntering. The PM headed to New York for the UN General Assembly where Somalia was deprived of its voting rights because of unpaid dues but the PM nonetheless managed to meet a selection of his influential counter-parts. International relations interfaced dangerously with relations between the government and the Federal Member States. HirShabelle democratically removed its State President early in the month and quickly replaced him. But this was insignificant in comparison to the sudden alignment of Puntland, then Southwest, then Galmudug with Saudi Arabia & UAE against Qatar, in opposition to the government’s neutral stance. The President himself returned to Saudi Arabia for the third time since taking office, but the month ended with the situation apparently unresolved. At a regional level, relations with Ethiopia caused problems. The extradition of an Ogaden National Liberation Front leader sparked an outburst of nationalistic fervour that mixers happily exploited: the President’s popularity plummeted. The fragility and disenfranchisement that came with a major clan/not-so major sub-clan President and Prime Minister appeared to spill over into violence, albeit concealed in a variety of Somali National Security Forces uniforms, when the Stabilisation Force attempted to disarm another unit (from a different clan block): 9 died. There were some positives: football matches and civilian flights into Mogadishu Aden Abdulle Airport took place at night for the first time in nearly three decades. The Mogadishu Book Festival was a success, rivalling its elder cousin in Hargeisa. Kenyan forces serving as part of AMISOM withdrew from Bardhere and Tarako: aS immediately occupied the towns. In Mogadishu, video of a road traffic accident, where an AMISOM armoured vehicle shunted a civilian car along one of the main arteries of the city, went viral on social media: AMISOM quickly apologised and offered compensation. The security slugging match continued in the hinterland. aS continued to suffer from air, drone and special forces strikes, the Shadow Governor of Banadir being a notable victim. aS tried to use disinformation to counter the strikes, re-imagining them as civilian casualty incidents. In reply, aS launched assaults on government positions across the country, from Af-Urur in Puntland to Bulo-Gaduud, Beled-Hawo, Kalabyr and El-Wak in south-central. In the city of Mogadishu aS kept up its campaign of assassinations of government officers, members of the security forces and NGO workers (although whether aS actually was responsible for every single killing remains unclear): the Deputy Commander of SNA Logistics was a notable victim. aS’s other urban trademark, the car-bomb, was less prevalent than in previous months, but some attacks succeeded in spite of the best efforts of the Stabilisation Force to secure the city. The month ended where it began, in Barire. aS stormed the SNA garrison in the town, inflicting heavy casualties and seizing a number of vehicles including armed ‘technicals’. aS’s narrative predominated and steered attention away from its concurrent and grimly symbollic car-bombing of the Mogadishu Peace Garden. AUGUST began with the Federal Government of Somalia (FGS) dealing with the aftermath of events in July: the Minister of Constitutional Affairs was summoned to parliament to explain his negative commentary regarding the overturning of the Supreme Court’s ruling on disputed parliamentary seats; and there was much outcry about the death sentence applied to the killer of the Minister of Public Works (the perpetrator being one of the Attorney General’s protection team). Later in the month an AMISOM convoy in Mogadishu became caught up in a mass protest by disgruntled bajaaj­-drivers: one vehicle was destroyed. 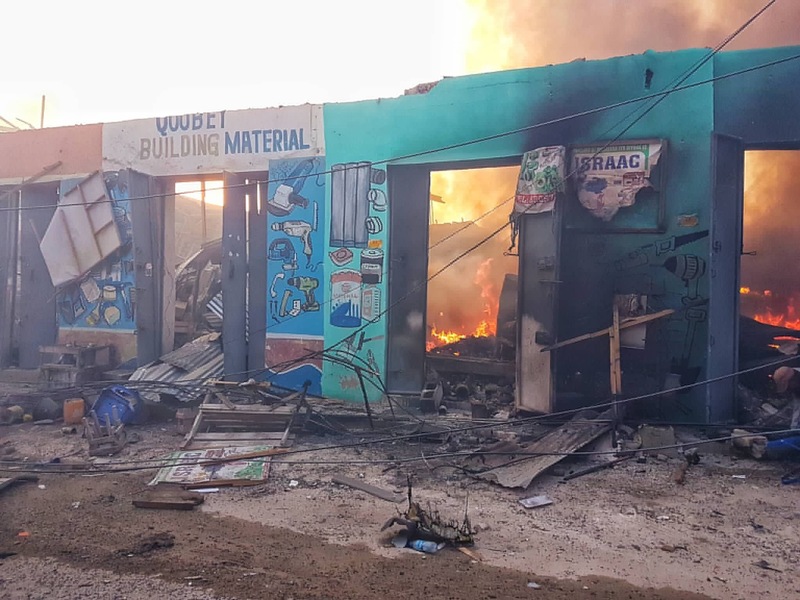 There was a flurry of attacks on checkpoints in Mogadishu (possibly indicative of the success of the Stabilisation Force) and a handful of car-bombs made it through to their targets, although with minimal effect. A group of family members were killed in a drive-by shooting on the outskirts of Mogadishu and a taxi driver working the lucrative Airport Road route was killed by a bomb placed under the driver’s seat of his cab: it seemed that, as terrorism in the city declined, business dispute resolution, Mogadishu-style, was returning. Female representation in parliament also came to the fore when no female representatives were selected for the Constitutional Review Committee, prompting comment from UN SOM. The Telecoms Bill passed through both houses, meaning the FGS might finally see a share of the massive revenues from that industry (which currently go into private coffers and, allegedly, also in some small part to aS). There was turmoil in HirShabelle State, always the most fragile of the Federal States, when the President was voted out but refused to leave, despite the support of the central government for the process to remove him from office. Convicted pirates were repatriated by India. Another group of prisoners were returned to Mogadishu by South Sudan and were immediately released: unfortunately they turned out to be human traffickers. aS maintained its campaign to influence the Kenyan election via the media, culminating in the release of a video showing the execution of a Kenyan prisoner. AMISOM and the FGS withdrew from Leego: aS re-occupied the town. A female suicide bomber detonated in the Central Prison in Mogadishu in an attempt to kill her relative, the Commander of the Custodial Corps: she failed. aS continued to suffer losses to strikes: air strikes, drone strikes, Special Forces strikes. The Shadow Governor of Banadir, Ali Jabal, was a significant loss, prompting a eulogy from aQ itself. Defections continued, including a 19-year medical commander in Hiraan. The defection of Robow, probably prompted by aS’s attempts to finally eliminate him after years of his dithering in the wilderness, was the subject of much conjecture: was he significant? did he actually reject violence or the ideology of the Global Jihad? was there a chance he might destabilise Southwest State, to whom he defected? The month ended with two more crises. A group of villagers were killed in a joint Somali-US special forces operation, prompting outrage (much of it faux, since it became apparent the group were armed and probably about to engage in a spot of inter-clan violence when they stumbled upon the soldiers). The alleged handover of an Ogaden National Liberation Front leader to the Ethiopian authorities saw indignation reach new levels. Eid al-Adha came and the celebrations were peaceful but the various controversies rumbled on in the background and would likely ripple on into September. Al-Shabaab is a Vital Part of the Global Jihad. No, Really, It Is! It is the start of Ramadan in Somalia and that means another gory video from al-Shabaab. (And a spike in assassinations and car bombings in Mogadishu and attacks against the Somali security forces and AMISOM out in the hinterland – although this year, after the President’s ‘declaration of war’ against al-Shabaab, this year might see a spike in a spike.) This year al-Shabaab, through its media outfit, al-Kataib, reminds us of the events in Kulbiyow in Lower Jubba in January of this year, when al-Shabaab fighters clashed with Kenyan Defence Forces serving under the AMISOM banner and al-Shabaab briefly overran the position, killing 67 Kenyan soldiers (al-Shabaab version) or the Kenyan Defence Forces bravely resisted a strong attack (Kenyan government version). The video follows the standard format of attack products. It sprawls over 53 minutes, of which only 10 minutes is focussed on the attack itself. The remainder is message-laden: a succession of horrific images of atrocities against Muslims (especially Muslim children) in Palestine, Iraq, Libya, Burma, Chechnya, Kashmir, West Africa and Turkmenistan; imagery of US forces (some lifted from ‘Blackhawk Down’, also I suspect al-Shabaab don’t worry much about copyright) and then, right back at you, al-Qa’ida attacks on the US; accusations of atrocities committed by black African Christian troops against Somali Muslims (many Somalis don’t consider themselves to be either black or African in spirit) with special focus on the sexual abuse of Somali women, dutifully supported with words and pictures from Human Rights Watch (made all the more easy by provocative, racially and religiously charged emphasis on lines like ‘he ripped off my hijab and then he attacked me’); and all punctuated by the musings of a diverse group of jihadist thinkers like Sheikh Ahmed Abdirahman, Usama Bin Ladin, Sheikh Qassim al-Rimi, Ayman al-Zawahiri, al-Shabaab’s spokesman, Ali Dheere, Abu Yaya Al Libi and Aboud Rogo amongst many others. Many, many others. A lengthy section focuses on Dulyadeyn, the architect of the Garissa University attack (oddly there is no mention of that), and in whose honour the attack on Kulbiyow was named. (No coincidence that Dulyadeyn was a Somali-Kenyan, either.) He tours the troops, boosting their morale with his mere presence, and lectures them at length with a tea mug attached to his combat jacket (brew theft appears to be an issue in al-Shabaab, even for a notoriously blood-thirsty senior commander). Finally, after 27 minutes shaping our perceptions (we now hate the West and the African Union and realise that Muslims are under attack pretty much everywhere – if only there were more people like Dulyadeyn fighting back against Trump, Netanyahu, Putin, Assad, Kenyatta et al, who appear and grinningly shake each others’ hands on what is clearly a deal to kill Muslims), the attack begins. So, too, are any casualties, barring a select few. Six ‘martyrs’ are honoured and they are, of course, suitably diverse in terms of clan (even the much-put upon Galgale minor clan are represented – because al-Shabaab is above clan, remember?). One is a Kenyan with a typically non-descript moniker in place of his real name – Abu Naseeba, the father of ‘Lucky’ (although her father apparently wasn’t so lucky). Another is a cameraman – maybe that is why the footage is so limited. Maybe it was the briefness of al-Shabaab’s apparent occupation of the camp before the Kenyans counter-attacked. A few minutes are filled with Kenyan denials that anything ever happened anywhere and then a lot more time is filled with a further reminder that this is part of the Global Jihad. More stock footage: training, an IED going off in Mogadishu (in 2014). The End. Yes, the video gets its message across about the Kenyan government claiming there was ‘nothing to see’ in Kulbiyow when there clearly was something to see (and the footage has been verified as being Kulbiyow by the ever-efficient Bellingcat). But this is a strangely unsatisfactory product. We see shadowy figures moving maybe a hundred metres away but no-one shoots at them – why not? Why do dead bodies have to be made deader? What threat do camp-beds pose? And a lot of the images in the cascade towards the magic, claimed 67 dead look very similar to ones in other video products, despite maybe being flipped and re-filtered on Photoshop. That is because this is an edited version of an event: this is propaganda. Or it might be a bit of the event, mixed with other events (the ground we see the troops advancing through changes dramatically on a number of occasions). It might not even be the event. But the overall effect is that this is too much talking and not enough doing, too many foreign jihadis chipping in their ten shillings/rials/dirhams worth, too much emphasis that this is not about Somalia, this is about Islam under attack and the Global Jihad. Which is a giveaway. 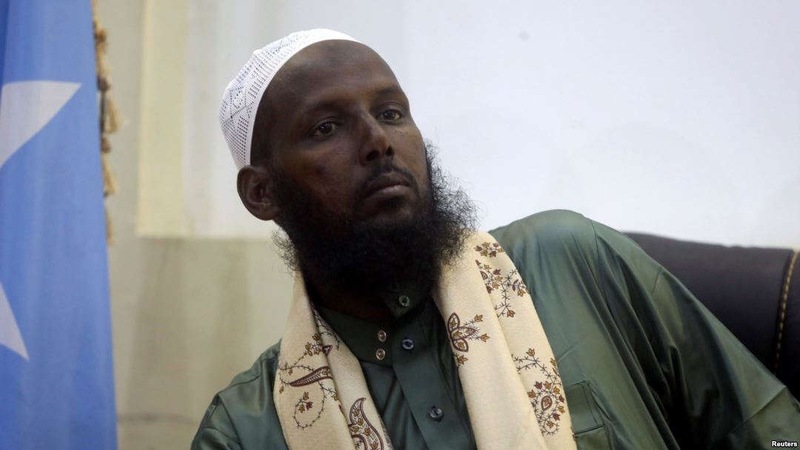 The reality is that, inside al-Shabaab, foreigners have never really been welcome. Even members of the Somali Diaspora are viewed as ‘foreign’ (which is why they tend to head to Iraq and Syria these days). These days the ‘Foreign Fighters’ tend to come from the disaffected Muslim community in Kenya. So it is no coincidence that a Kenyan is one of the six selected martyrs. But this conceals a fracture within al-Shabaab, between Kenyans (and, increasingly, younger Somalis), who genuinely do want to wage Holy War, and a majority whose focus is much closer to home, within the bounds of the fabled ‘Greater Somalia’, and much more akin to a nationalist insurgency driven by the desperate need to control resource than the genuine Global Jihad it claims to part of – for a painfully dull 53 minutes.